the broken buildings of the Schools in Usunomai are gone, the new buildings will stand up the hill – but it will take three more years that pupils can enter it. For students who entered Unosumai Elementary School in Kamaishi, Iwate Prefecture, after the March 2011 Great East Japan Earthquake, they will attend classes in prefabricated buildings for six years until graduation. The school, located near the sea, was swallowed up by the ensuing tsunami, although all the 350 students were safely evacuated to a hillside. Unosumai is among the many elementary and junior high schools damaged in the earthquake and tsunami that have experienced delays in rebuilding. The large number of public works projects currently ongoing in the disaster-hit areas have resulted in a rise in the costs of construction materials and a serious shortage of workers. Priorities have also been placed on large-scale projects, such as construction of roads ordered by the central government. Subsequently, reconstruction of school buildings has been put on the back burner. At Unosumai Elementary, 182 students are studying in prefabricated buildings, as reconstruction of their school has yet to be started. As prices of concrete and labor costs of workers have jumped in a short period of time, the costs of the reconstruction plan worked out in spring 2014 ballooned. As a result, the central government did not approve the plan. In a process that took six months, the Kamaishi city government decreased the construction budget by making changes, including scaling back the school buildings. It also introduced a special bidding process that selected contractors from the design stage. Despite those efforts, the school buildings are not expected to be completed until 2017, which means classes will continue in the prefabricated buildings. “Though the school buildings are prefabricated ones, children are enjoying their school lives,” said Chizuko Kobayashi, 41, whose three daughters are attending Unosumai Elementary School. The school bus that transports children from temporary housing facilities to the school passes through districts that were devastated by the tsunami. Because of that, when a tsunami warning is issued, students sometimes have to stay at the prefabricated school buildings until late at night. “I hope that the school buildings that children can attend safely are constructed as early as possible,” Kobayashi said. According to the Iwate prefectural government, of the 15 schools damaged by the tsunami, Funakoshi Elementary School in Yamada completed reconstruction of its school buildings in spring 2014. 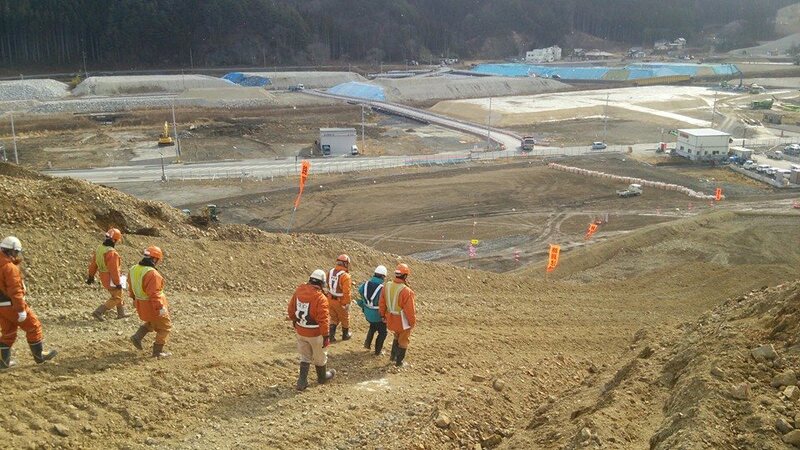 The school buildings of Takata High School in Rikuzentakata are also scheduled to be completed late this month. However, students in the remaining 13 elementary or junior high schools in five municipalities are still studying in prefabricated buildings or using buildings of former schools. The reconstruction of Otsuchi Elementary School and Otsuchi Junior High School in Otsuchi, Takata-Higashi Junior High School in Rikuzentakata, and Okirai Elementary School in Ofunato are likely to be delayed for six months or more as municipal governments have failed to secure contractors in the bidding process. In neighboring Miyagi Prefecture, 15 elementary and junior high schools are still using prefabricated buildings or other facilities. It is taking time for many of them and two public high schools to choose new sites for their schools or complete reconstruction of their buildings. Completion of the new Yuriage Elementary School and Yuriage Junior High School in Natori are likely to be delayed until April 2018. 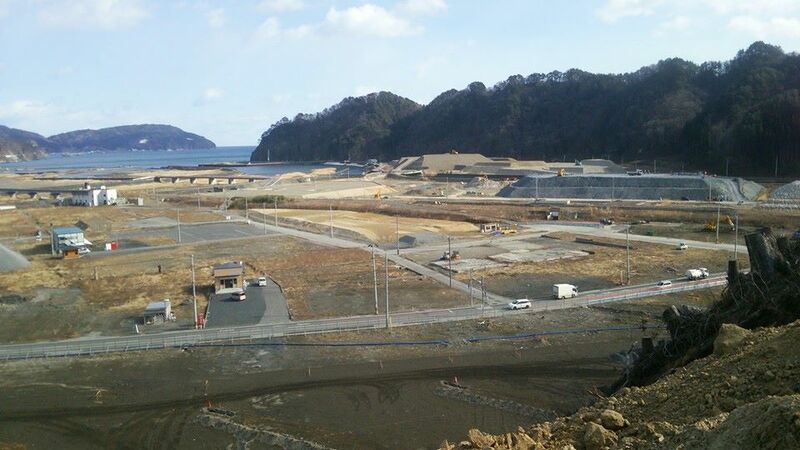 A relocation site for Okawa Elementary School in Ishinomaki also has yet to be determined. Dieser Eintrag wurde veröffentlicht in DJSF Sanriku Fukkou und verschlagwortet mit #Iwate, #Kamaishi, #Otsuchi, #Sanriku Fukkou, #Tsunami, Miyagi, rebuilding, schools temporary von sanrikufukkou. Permanentlink.